Please join us for an exclusive evening event at the new Papo's Cafe. We look forward to delicious menu items and drinks all included in your ticket price.The Annual Dinner is open to all IWIL members and their guests. Registration is $30 per person on or before June 14, $35 after June 14 or at the door. 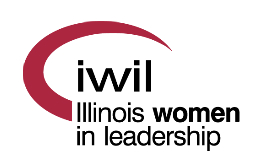 Thursday, June 20 at 5:30 p.m.
Each year, Illinois Women in Leadership members gather for a brief annual business meeting to update by-laws and approve organization officers. Following the meeting, we will have time to eat, announce the 2019-2020 program theme and recognize IWIL volunteers. *IWIL is unable to provide refunds. If you cannot attend an event for which you have registered, we encourage you to send someone in your place. Simply have your guest indicate at the check-in table that she is your substitute. We appreciate your understanding.